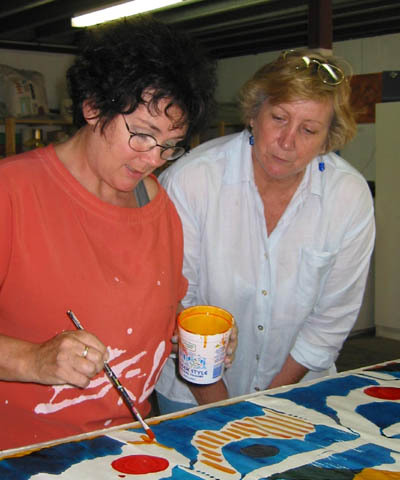 Arthouse Port Douglas - Want To Learn How To Draw And Paint? 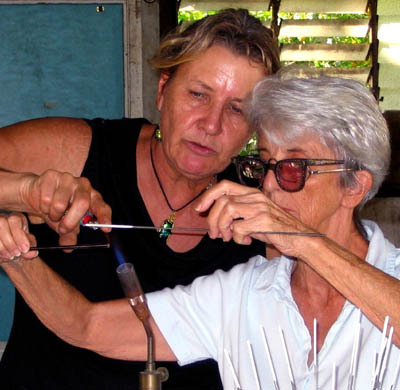 Arthouse Port Douglas Taught Students How to Draw and Paint. Students wandered off from their last Arthouse Port Douglas class of the series, arranging to meet for lunch at their favourite restaurant. But, what's this? A student in tears! Whatever could be the matter? "I can't help it", she wailed, "I have had such a wonderful time in this class. I can't bear it to end!" True story, but with a happy ending...she enrolled in another class! I must tell you that we didn't often have students cry but it did sometimes happen. Occasionally, the more creative classes seemed to be so therapeutic that students felt as though a huge burden had been lifted and that they had attained an amazing freedom....a freedom to just be themselves. 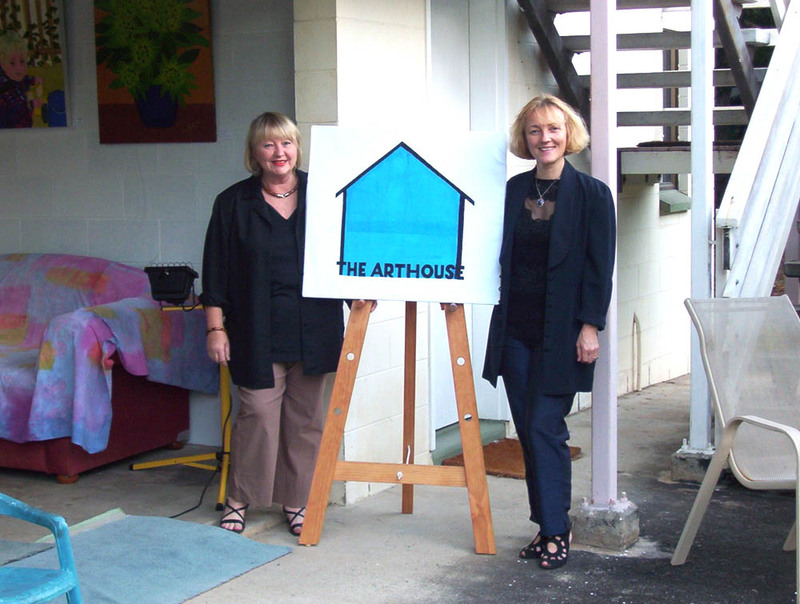 In September 2005 a new group, named Arthouse Port Douglas, had been formed, with the aims of enlivening the arts scene in the Far North through offering workshops, exhibitions and studios at a purpose-built arts centre, which would link with other Arts and Tourism interests. In 2006 membership grew to more than 150 individuals and professionally organised classes began, at first in an artist's studio, then at the Old Sugar Wharf, the local Community Hall and, finally at an old train station at the local Marina. "Would you like to learn how to draw? Learn oil painting? Enjoy drawing people by attending a life drawing class with a live model? 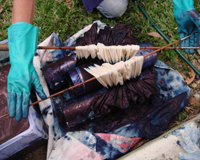 Try your hand at silk painting, printmaking or sculpture? In such a supportive and comfortable environment such experiences can be special for everyone. Therapy may be an interesting side effect of finding inner creativity but our main business is imparting skills. Arthouse Port Douglas helps to enliven the cultural life of the community of Port Douglas and the wider region of which it is part." "Its long-term aim is to establish a purpose-built Arts Centre in the community precinct of the little coastal town. The town may be small but it draws an estimated 100,000 visitors per year, who are attracted by its sophistication and close proximity to the ancient Daintree Rainforest and Great Barrier Reef. The area also has become home to many artists from other parts of Australia and overseas as well as to those who appreciate the beauty and memorable experiences that the region has to offer. 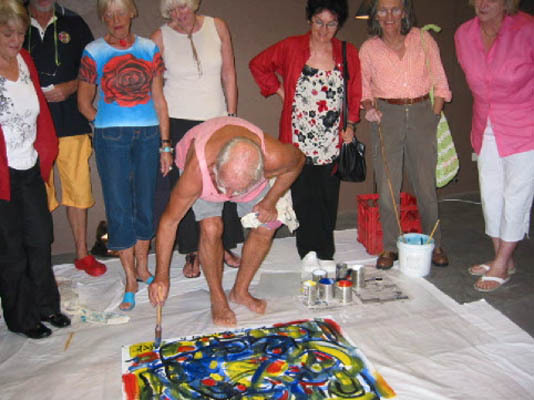 Some of these visitors enjoy becoming involved in art classes that Arthouse Port Douglas usually offers from about Easter through to Christmas each year. We hope to include studios for established and emerging artists as part of the planned arts complex, which will be the centre for visionary programmes, including residencies for leading Australian and overseas visual and performing artists. Already Arthouse Port Douglas is becoming involved in the Clink theatre productions and the idea of projects across various art forms is seen as desirable…and a lot of fun! There are many excellent restaurants in Port Douglas so perhaps we shall explore the marriage of culinary arts with the visual and performing variety! What next? Watch this space! 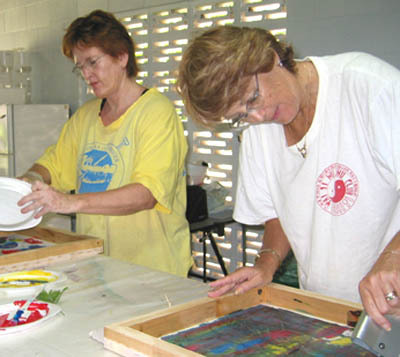 Arthouse classes in 2007 included life drawing, painting, portraiture, sculpture and printmaking. 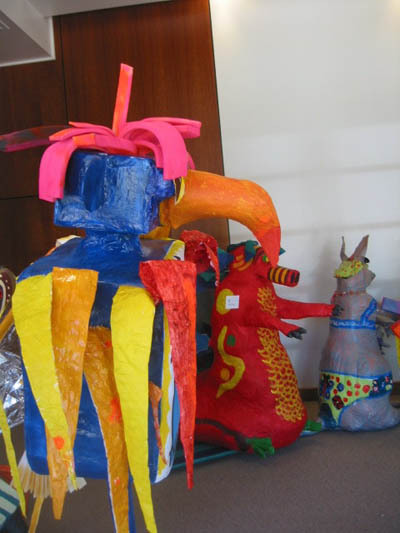 They were made possible by the Regional Arts Development Fund, administered by Arts Queensland and Douglas Shire Council." Some fabulous classes were held and lobbying continued for the building of an Arts Centre on government land in the centre of Port Douglas, using money from the sale of the block of land gazetted 'School of Arts'. 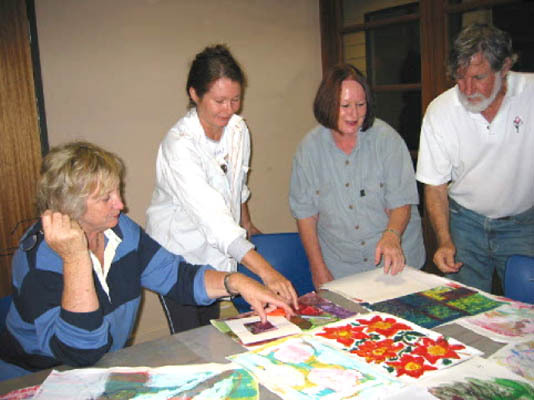 In November 2007 Douglas Shire Council set aside the amount of $250,000 for the building of a community arts workspace adjacent to the existing Community Centre. That was such good news! Sadly, once the Douglas Shire was forcibly amalgamated with Cairns Regional Council, the funds were frozen and the artists of Port Douglas struggled on without a proper workspace. Arthouse Port Douglas group has, sadly, dwindled from 150 members in its first year of operation to just a handful of enthusiasts. In 2011 they were given the use of premises in the Marina but, unfortunately, the owner has had to withdraw his offer and they are currently without a home - again! Without Council or private support that makes the practicalities of holding classes very difficult indeed. Perhaps, if the push to de-amalgamate from Cairns Regional Council succeeds the situation may change. 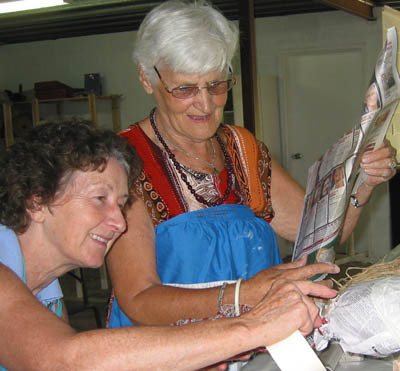 Occasional classes and artists retreats are still held at venues scattered throughout the Port Douglas, Mossman and Whyanbeel area. Check here for information about Arthouse, Douglas Arts Base, Cairns Regional Gallery and other art classes in the region. Unfortunately, the group could no longer maintain its energy and activities without a proper 'home' and the facilities which would be attractive to members so they had no option but to close down and now only have a place in history! Well done to all those volunteers who kept the group alive and contributing to the Port Douglas creative lifestyle for so many years. If you are looking for information about Australian textile suppliers and contacts australiansilkworm.com is a comprehensive directory for silk artists & textile designers, fiber artists, suppliers, event coordinators and for anyone who loves, paints or sews fabric or enjoys surface design.